A Catalogue of Extraordinary Items for the Victorious RPG: Armor, Weapons & Ordinance. A Collection of Items from Adhesive Shoes to magnetic Eyes. Motive Transport that includes the Clockwork Carriage and the Hydraulic Horse. All this and More. 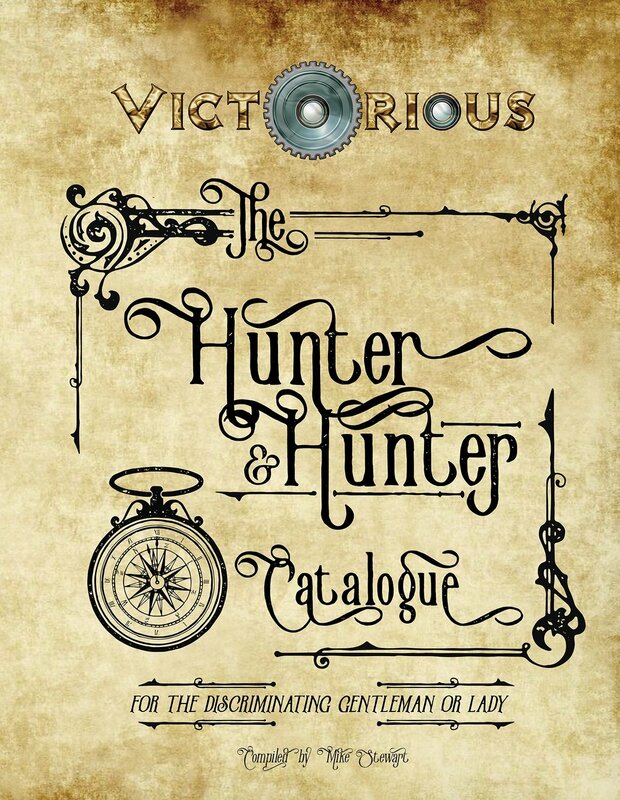 The Hunter & Hunter Catalogue is a Collection of all Manner of Curiosities for All Your Extraordinary Needs!